BA (Hons's) Gray's School of Art, Aberdeen Art Gallery 1986. Aberdeen Artists Exhibition, Aberdeen Art Gallery 1986, 1987. RSA Students Exhibition, The Mound, Edinburgh, 1985, 1986. The 3rd Gray's Degree Show, 1986. New Generation in Scotland, Compass Gallery, Glasgow, 1986. Highland Open, Travelling Exhibition, 1988, 1989, 1990..
Elizabeth Greenshields Foundation Award, 1990. Atholl Gallery, Dunkeld, 1992, 1994. Stenton Gallery, Stenton, 1992, 1994, 1996, 1997, 2000. The Royal Scottish Academy, 1993. 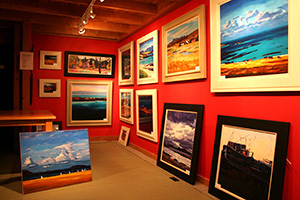 Colours Gallery, Edinburgh, 1995, 1996, 1999, 2001.